The 640 series is a high end fishing scale for clubs and tournaments but we offer it at a discounted price. Operates on Lithium-Ion batteries. The dual harmonic filtering allows the scale to lock onto the weight of fish very quickly. The 12" x 14" platform has a 50 x 0.01 lb capacity. At Central Carolina Scale we've been providing scales to fishing clubs for over a decade. We know what the clubs like to see in their tournament scales and we have put together the best selection of fish weighing scales that you will find. 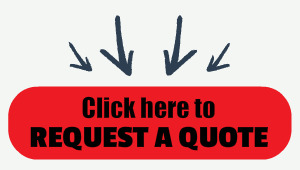 The chances are we have a scale that will meet your requirements. The 640 series is a high end fishing scale for clubs and tournaments but we offer it at a discounted price. Operates on Lithium-Ion batteries. The dual harmonic filtering allows the scale to lock onto the weight of fish very quickly. The 12" x 14" platform has a 50 x 0.01 lb capacity. Buy this scale from us and save money! 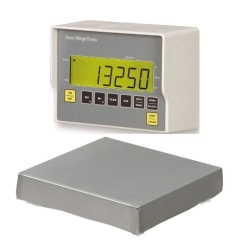 The 640 series features an indicator which provides simple, yet accurate and reliable weighing. The small, compact indicator design makes it ideal for places where space is limited. The scale system features simple operation. Gross/Tare/Net - G/N key allows viewing of either gross or net weights. TARE key is useful for temporary "zeroing" of the scale. Best of all the scale features Motion Filtering - Enhanced dual harmonizer filtering settles down the weight display for easy viewing. Ideal for filtering excess motion like weighing fish at a weigh-in. 640 Series .............. 50 x 0.01 lb ................ 12" x 14"